owned, or had in his possession or control, a firearm, ammunition, or an electric weapon or device. A felon can be in actual or constructive possession of the firearm to be charged with Possession of a Firearm by a Convicted Felon in Jacksonville, Florida. It is the State Attorney's burden to prove possession. Therefore, if the firearm is not found on the Florida felon, the prosecutor has to prove that the Florida felon had control over the weapon. 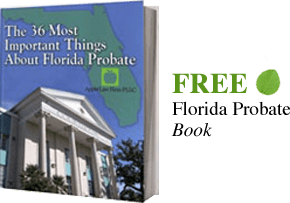 Depending on the facts of your Jacksonville Florida Possession of a Firearm by a Convicted Felon Case, the prosecutor may not be able to do this. If you are charged with Possession of a Firearm by a Convicted Felon in Jacksonville, Florida, it is important to discuss your case with a Jacksonville Florida Firearm Attorney. A Jacksonville Florida Firearm Lawyer will investigate your case for possible defenses to the crime. Florida Possession of a Firearm by a Convicted Felon is a second-degree felony which Jacksonville prosecutors take very seriously, so contact our Jacksonville Criminal Defense Lawyers by email or by calling 904-685-1200.